On April 21, 2017, the Government of Ontario implemented a new Non-Resident Speculation Tax (“NRST”). The NRST is a 15% tax payable on the purchase of a residential property located in a region that is referred to as the Greater Golden Horseshoe. The NRST is payable by foreign entities or taxable trustees of a foreign entity and is paid in addition to any applicable land transfer taxes. 1. Are you affected by this tax? a corporation that would, if each share of the corporation’s capital stock that is owned by a foreign national or by a corporation described in paragraph 1 were owned by a particular person, be controlled, directly or indirectly in any manner whatsoever, within the meaning of section 256 of the Income Tax Act (Canada), by the particular person. A foreign national is a person that is an individual who is NOT a Canadian citizen or permanent resident of Canada. It must be pointed out that each of the purchasers in the transaction are jointly and severally liable for any NRST payable, so if you enter into an Agreement of Purchase and Sale to buy a property with a foreign entity and that foreign entity does not pay their NRST, you will be liable to pay the tax even if you are Canadian Citizen or Permanent Resident of Canada. If you are a foreign national or one of the purchasers in your Agreement of Purchase and Sale are a foreign national, it is important that you speak to a real estate lawyer in advance of completing your transaction. You are a full-time student at an approved institution at a campus located in Ontario for a continuous period of two (2) years from the date of purchase. A full time student is enrolled in at least 60% of what the approved institution considers to be a full course load for the academic year (40% if you have a disability). You are a foreign national legally working full time under a valid work permit in Ontario for a continuous period of one (1) year from the date of purchase. Full time employment means that you are working no fewer than 30 hours of paid work per week over a 12 month period and no fewer than a total of 1,560 hours of paid work over that period. To qualify for the rebate you must exclusively hold the property or hold the property exclusively with your spouse. This property must be your primary place of residence for the duration of the period begiining within 60 days from the date of purchase. All rebates must be applied for within four years after the day on which the NRST became payable, except for the rebate for a foreign national who becomes a permanent resident of Canada. The rebate for a foreign national who becomes a permanent resident of Canada must be applied for within 90 days of the foreign national becoming a permanent resident. No application may be made more than four years and 90 days from the date the NRST became payable. It is important to speak to a real estate lawyer about your NRST Rebate and the deadlines in order to qualify for the same. 3. Who is exempted from the NRST? Nominees: If you are a foreign national who is nominated under the Ontario Immigrant Nominee Program at the time of your purchase of the property and you have applied or certifies that you will apply to become a permanent resident of Canada, you may qualify for an exemption. Protected Persons: if you are a foreign national that was conferred refugee protection under section 95 of the Immigration and Refugee Protection Act (Canada) at the time of the purchase of the property, you may qualify for an exemption. in a relationship of some permanence, if they are the natural or adoptive parents of a child. In order to qualify for a NRST exemption, you must certify that you will occupy the property as your principal residence. All purchasers in the purchase of the property must also certify that they will occupy the property as their principal residence in order to qualify. Exemptions in the Act and its regulations that apply to LTT will also apply to the NRST. The deferral and cancellation of LTT for intercorporate transfers between affiliated corporations will also apply to the NRST. The NRST exemptions DO NOT APPLY if the Canadian citizen, permanent resident of Canada, nominee, or protected person and his or her foreign national spouse purchased the property with another foreign national who is not a nominee or protected person. In this situation, the NRST is payable. It is important to speak to a real estate lawyer to clarify your eligibility for an exemption in your particular transaction. 4. How is the NRST Calculated? The NRST is based on the purchase price of the residential property, where you will paying 15% of the purchase price. If the property is a mixed use property, the NRST applies to proportionately to the purchase price of the property attributable to the residential property. 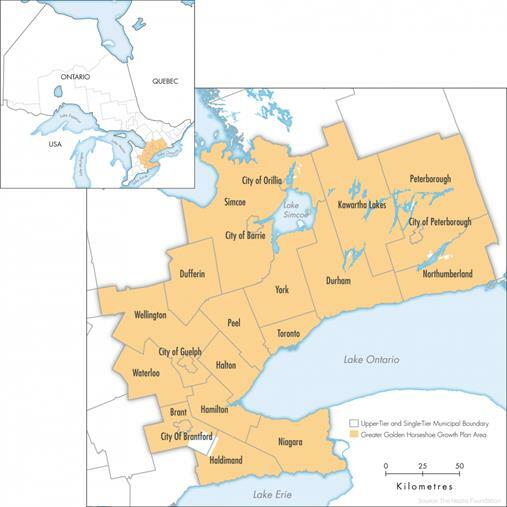 The NRST applies to the transfer of land in the Greater Golden Horseshoe region, which contains at least one and not more than six single family residences. These properties would include a detached house, a semi‑detached house, a townhouse or a condominium unit. If you are buying multiple condominium units, each unit would be considered land containing one single family residence. Properties containing duplexes, triplexes, fourplexes, fiveplexes and sixplexes are also subject to the tax. The NRST does not apply to other types of land such as land containing multi‑residential rental apartment buildings with more than six units, agricultural land, commercial land or industrial land. It is important that you speak to a real estate lawyer to find out whether the property you are buying is subject to the NRST. Please keep in mind that all land transfers completed in Ontario are subject to audit. This may include examining trustee relationships to ensure that you are not holding the property as a taxable trustee ofa foreign entity. The Ministry will also look at the use of multiple conveyances to avoid the NRST. According to the Ministry of Finance, the failure to pay the NRST may result in a penalty, fine and/or imprisonment. It is therefore important to speak to a real estate lawyer to ensure that you are paying the NRST as required and if the NRST applies to you. The Ministry of Finance has advised that interest on a refund as a result of a successful objection or appeal from an assessment of the NRST will be consistent with the general LTT refunds.